Although July seems like a distant memory already I wanted to look back and wrap up Plastic Free July properly. We got a lot out of it in our home this year. I'm sure we are going to keep doing a lot of the changes we started too, which is a bonus! As I committed to do at the start of our plastic free journey this year, I kept the plastic wrappers we used in July to help work out where we could make improvements. I didn't keep all of the multiples of products - for example pasta packets - since I figured once we had a couple the message was there to try and find an alternative option. Found a way to avoid? Sharing this experience with my peers, and learning what they are doing, at Living Smarties and through Lizzing Lightly. Dog poo bags - these are a real disgrace but it is difficult to manage without them. I'm keen to try using newspaper instead to see if that works. I expect it will need to happen close to a bin. Bin liners - I know we can go without and clean out the bin but we're not ready for that one as yet. I know the poor animals eating plastic are suffering from our inaction but we have to take small steps that we are comfortable with. This might be one to consider again next year. Plastic is used to line cans! I found this out through the Bag It movie and my Living Smart group. I'm still in a bit of shock about this one. 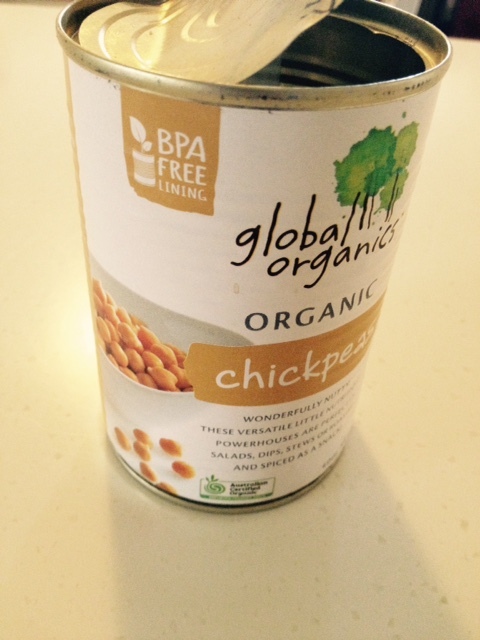 I knew cans weren't healthy but we are pretty reliant on canned beans, particularly baked beans and chick peas, for quick meals. This information is a good motivator to try and reduce our canned food intake. We use a lot of plastic! Even though we are conscious of the problem and try to reduce it as much as possible. 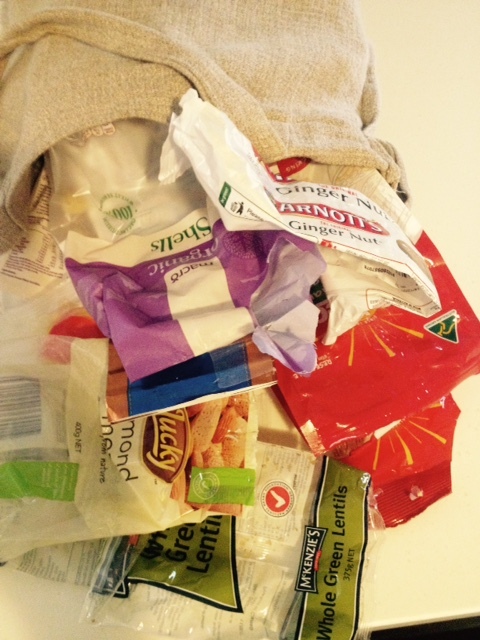 By making a reasonably small effort and doing a few different things when heading to the shops we can cut back on our plastic use quite a bit - it really is worth trying to do. The environment is really suffering from the mass production and use of plastic products. I always knew this was a problem but I really thought about it and processed it through participating in Plastic Free July this year. So there it is - all wrapped up for 2015. Thank you to those of you who have followed my journey and provided some thoughts or advice. I hope you have picked up an idea or two yourselves.